This is from one of my favorite books (and now defunct blogs) of the past few years. Beautifully illustrated and written — all of Kalman’s books that I own have become some of my prized possessions, always sitting on my “special books” book shelf. 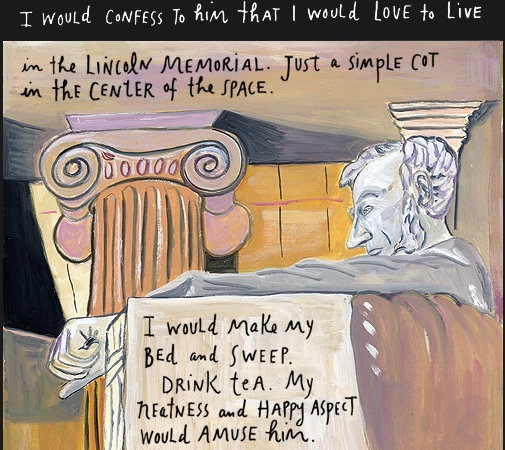 Also — who wouldn’t want to live in the Lincoln Memorial? Or at least camp there for a while.